Quoted from papua.antaranews, Regional Office of the Directorate General of Treasury of Papua Province revealed from the allocation of village funds in Papua in 2017 of Rp4.3 trillion, realization of absorption reached 98.3 percent or Rp4.23 trillion. "Merauke is the only regency that can not realize the second phase of village funding due to non-fulfillment of the delivery requirements document until the deadline," Syarwan, Head of the Regional Office of the Directorate General of Treasury of Papua Province, said in Jayapura. He explained that the utilization of village funds in Papua in 2017 includes 19 activities. Among them are the total of 1,812 km of rural roads, 271 units of drainage, 14,417 houses, 52 villages, 48,775 units of MCK, 409 units of PAUD and others. In 2018, the allocation of village funds for Papua reached 4.28 trillion, down 0.4 percent compared to 2017. "The use of 2018 village funds is prioritized for two areas: village development and village community empowerment, with emphasis on cross-cutting programs and activities," he said. Syarwan said that in 2018, the distribution of village funds is divided into three stages. Phase I 20 percent, phase II 40 percent and stage III 40 percent. He said that in terms of administration, accountability of village funds in Papua is getting better because the majority of the village apparatus is able to meet the required requirements. 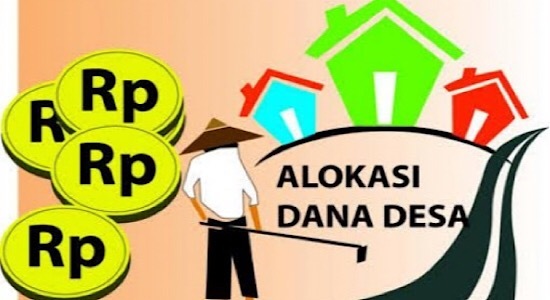 Only he reminded in the process of utilization of village funds, all parties need to supervise that the funds that amount per kampungnya reached billions of rupiah can be appropriate target and beneficial to the village community.